It's often said the life span of a bearded dragon is 10 years in captivity, but as our husbandry methods are getting better its common to find them living much longer than that. It's difficult to think that the cute little 8 inch long beardie you see in the pet shop will grow into a 20 inch reptile that you'll be giving house room to as long as you would a dog or cat. An adult beardie needs a vivarium at least 4 ft x 2 ft x 2ft, and that takes up a lot of space. If you take on a beardie, you have to remember if you move home you'll have to find somewhere that's big enough to house the viv as well as the rest of your furniture. Many young teenagers persuade their parents to let them have a bearded dragon, and it has to be said they are an ideal pet - but in a few years that young teenager will grow up, and may well leave home to go to college or to get a job. Taking a vivarium to a student flat will probably be impossible, and so the parents will be left looking after the beardie OR, as so often happens, the beardie will be left looking for a new home. Rescue centres are full of adult bearded dragons whose owners can't keep them anymore, and loads of babies which can't be sold as there are too many on the market. Just a quick look through the classified ads on this forum will find a number of beardies whose owners circumstances have changed, and who need to find a new home for their pet. So when you are thinking of taking on a bearded dragon, think about the length of commitment. 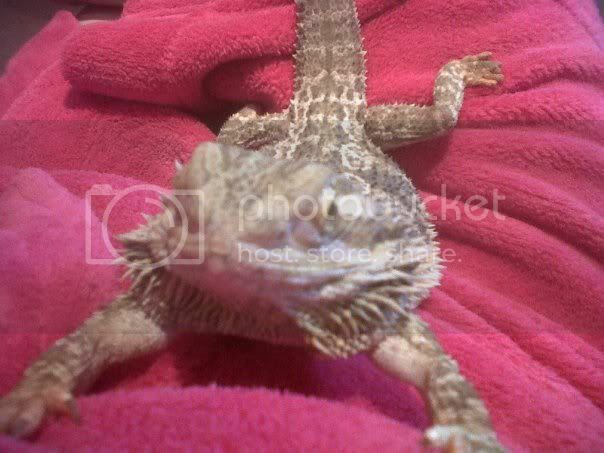 Can you guarantee to be able to house, feed and look after a beardie for 12 years of so? If you are buying one for your child - are you prepared to look after it if your son/daughter leaves home? If the answer is you are not sure, then think very seriously before you take on a bearded dragon. And if you really want to help - visit a rescue centre and adopt one! Perhaps we should have a similar window sticker for cars to that about dogs (A bearded Dragon is for life not just for Christmas) type thing. We took home a lovely Iguana but there was so many other lizards bearded dragons they must of had 20 or more and are at the brim of their capacity. Yet they are still getting more and more I know that I will not be moving for some time but one of the must when we move is will slash and axl have room. we have adopted a rescue beardie and although not the friendliest of pets (due to previous mis-handling/abuse), it gives you a great sense of doing something good. If we were to get another beardie it would be another rescue. So many people take them on without real thought of the care they need or the commitment required. Bearded Dragons are for life not for Christmas!! I found this story on a facebook page called save the reptiles.com abd thought this wouyls be the most appropriate place to put it (please move it if i am wrong) i i think re itterates the fact that beardies are a long term commitment. Talk about cruelty. They should never be allowed to have any animal ever they are obviously completely devoid of any caring nature. Unfortunately A LOT of people get fed up of pretty much any animal they have after the novelty wears off and with some pets it doesn't take long. I worked in the animal industry for a long time and have seen the worst excuses for getting rid of pets. Examples include the cat doesn't go with my new sofa (honestly), the dog leaves hair behind, I don't like scooping up the poo or I'm having a baby. I have gone through a whole host of circumstances from the point I left home to now being settled with two young children and not once would I consider neglecting or getting rid of any of my animals. They were the one constant in my life, the thing that always provided comfort and affection even when everything else was so rubbish! My children (5 and 18months) have grown up with cats, dogs, rats, fish, guinea pigs etc and have a genuine love of animals. Even my youngest goes and feeds the guinea pigs for me every morning (admittedly most of the food ends up on the floor) and understands how to behave around them. We unfortunately live in a throw away society, where we just get rid of anything if it not longer suits our lifestyle and this is something that some people apply to their pets. Baby animals are cute are exciting to own, the thrill of having a new pet is a great feeling but once the animal grows and becomes a chore its no longer fun to care for it. Some reptiles are very long lived and I wish the life long commitment they need would be more heavily advertised such as the "Dog's are for life, not just for Christmas" campaign. Never apologise for being right! These reasons are why I actively try to discourage breeding - I know most of the babies will end up "dumped" in one way or another! Thats disgusting! Id seal them in a giant bin bag and see how they like it, its horrific how so many people treat animals, i honestly think we humans are one of the worst species on this planet, all other species go about there way of life and way of nature, we humans destroy the planet for our personnal gain, and (not all of us, but too many of us) treat other species how we please because where bigger than they are, and throw them away like their a piece of furniture. No one life is more important than another.